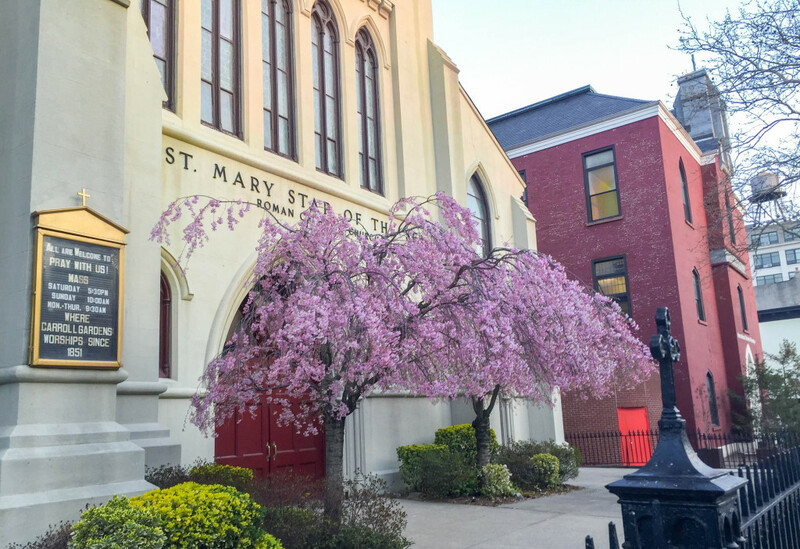 Earlier this week, my friend Claire sent me a great New York Times video about my neighborhood, Carroll Gardens. For me, the most interesting factoid from the video was that Al Capone got married on Court Street, not far from my apartment. Al Capone! How interesting is that?! Well, I was so interested that I had to go and check out the exact spot for myself. 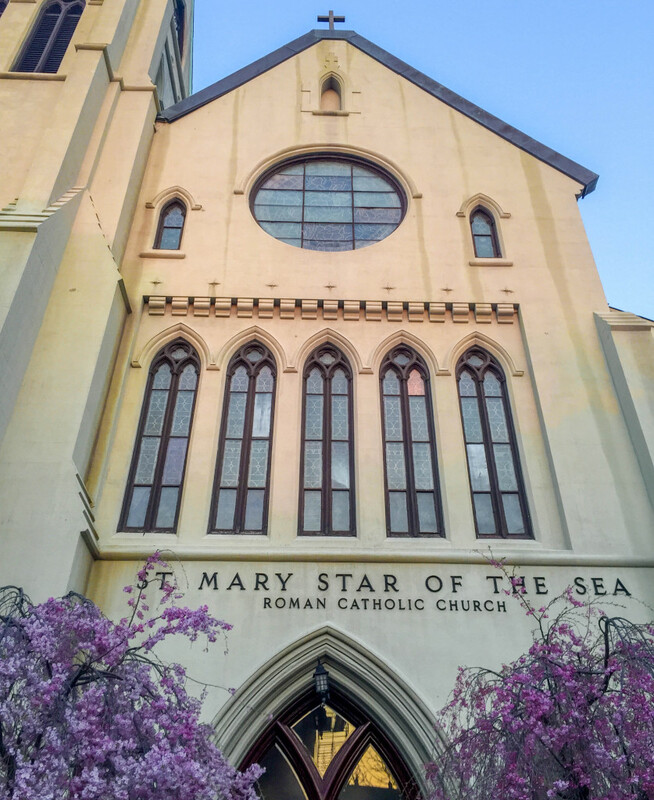 After work, Georgia and I took a stroll to St Mary Star of the Sea Church, which is on Court Street between Luquer and Nelson Streets. 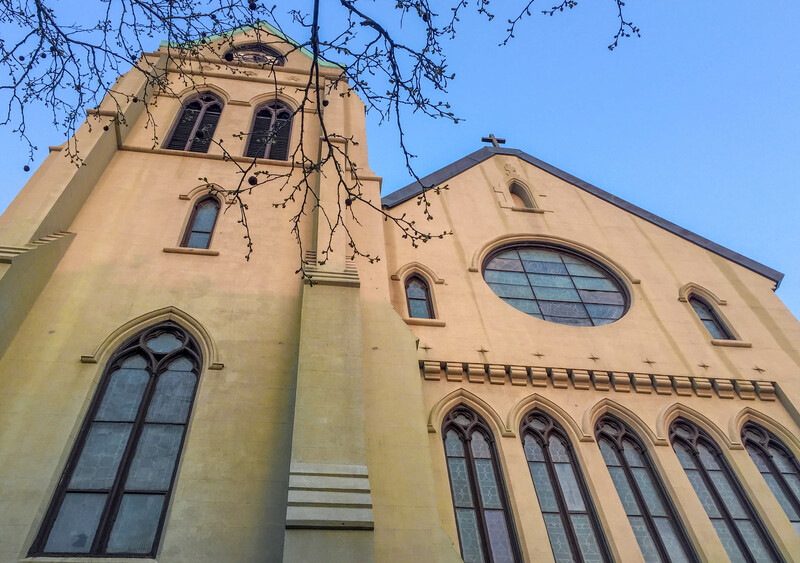 The church, which was built in 1853, was a beauty against the blue spring skies. Al Capone married his wife, Mae Josephine Coughlin, here in December 1918, when he was just 19 and she was 21. 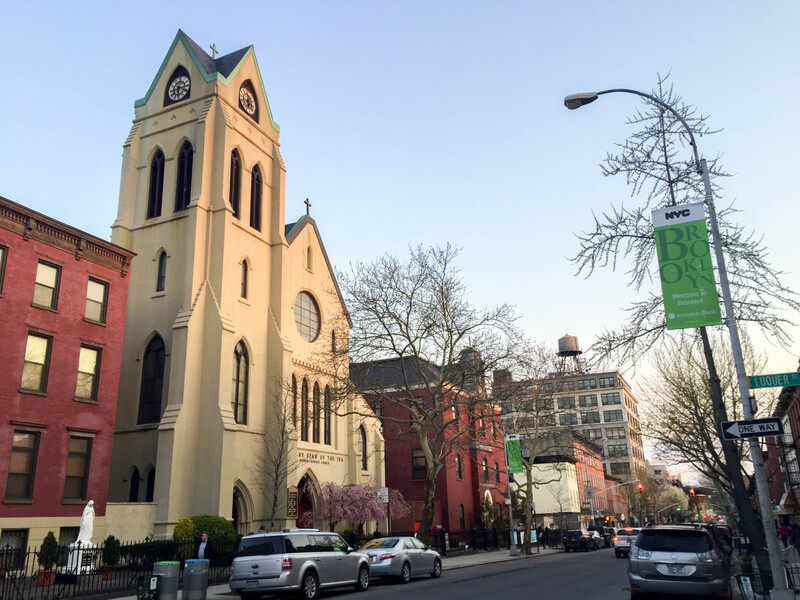 The church is only blocks from where he grew up; his parents had moved from Naples to Brooklyn in the 1890s and he was born in an apartment close to the Navy Yards. 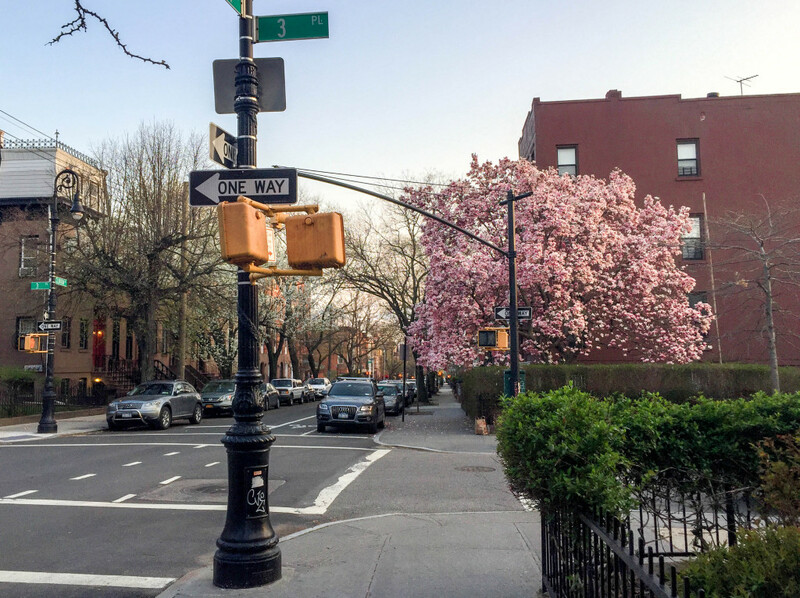 The family eventually settled at 38 Garfield Place, which is on the edge of Park Slope. By the time Capone married at the church, he and his wife already had a child, Sonny, but he still needed his parents to give written consent for the union because he was under 21. A year after they wed, the couple headed to Chicago where Capone ultimately became the notorious crime boss, killed scores of people and served years behind bars for tax evasion. Mae, who had refused to speak to reporters about her husband throughout his run-ins with the law, stayed married to him throughout. 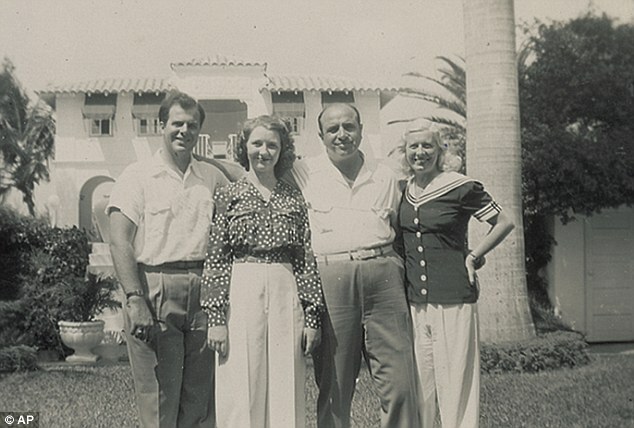 After battling dementia from syphilis – which he contracted ahead of the marriage and passed on to their son – Capone passed away in 1947, while she died in 1986. They’re pictured together here, right, after his release from prison. 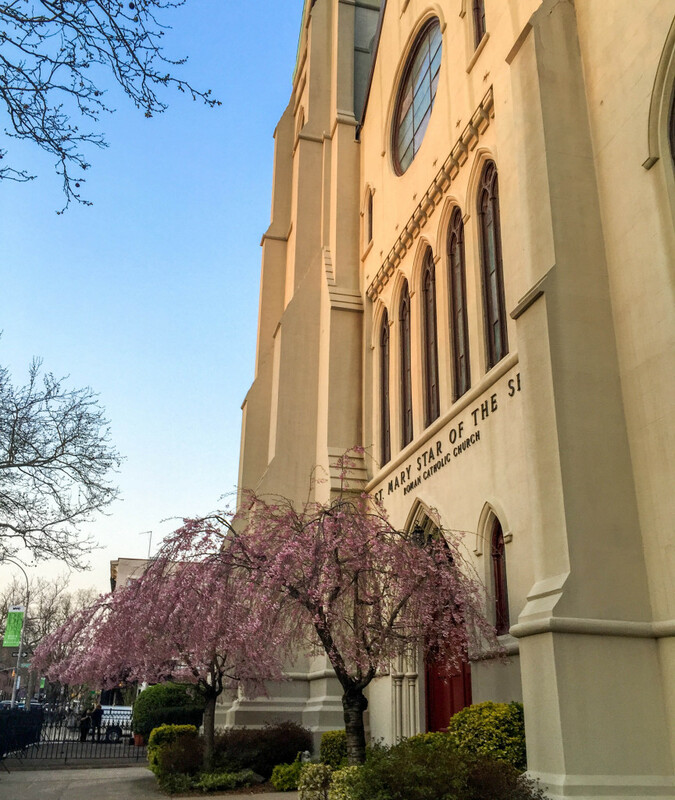 Of course, we couldn’t get in to the church where they wed nearly a century ago (why do U.S. churches not keep their doors open throughout the day? Or is that just a New York City thing?) but we admired the simplicity of the yellow-faced church and the blossoms from the outside. That said, I’d love to have a peek inside one day. Knowing that odd historical events like this happened around the corner from where I now live never loses its novelty. It’s funny to think of a mini Al Capone swaggering around the streets where I do my shopping. Next time I head to Park Slope or the Navy Yards, I’ll have to keep my eyes out for the places where he spent his even earlier days. Until then, I’m looking forward to seeing the other videos from the New York Times ‘block by block’ series to see what other bizarre factoids they have for me. 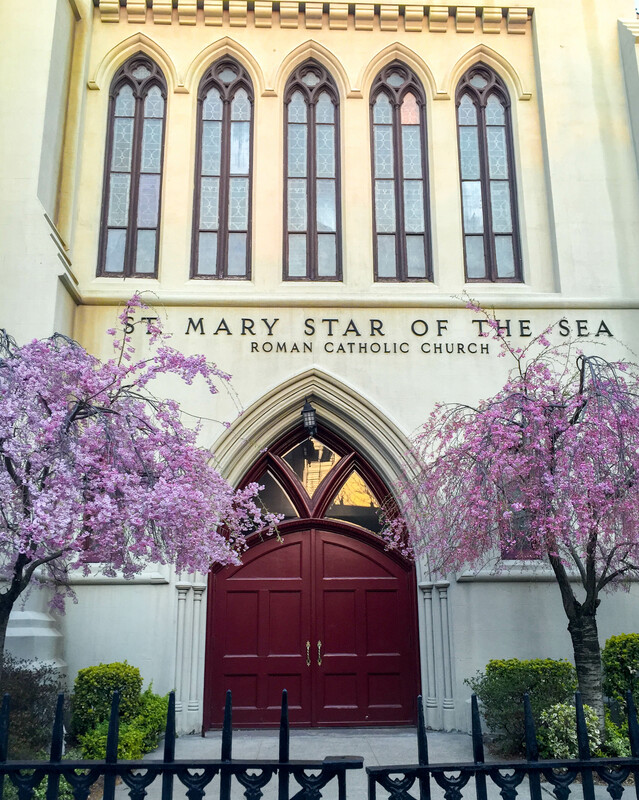 You can find St Mary’s Star of the Sea at 467 Court Street, Brooklyn, NY, not far from the Smith-9th Street stop or the Carroll Street stop. Oh those trees have the most gorgeous flowers! The blossom is so pretty, especiallybeing either side of the church entrance. Oh what an interesting piece of history! The only knowledge I had of Al Capone was from The Untouchables – so interesting to get a little insight into his early life! Very cool history post. I think the churches lock their doors now because of burglary, sad to say. If AC died in 1947, how did he get married in a church (in 1918!) that was built in 1953? Aha yes! Should’ve been 1853!